Block 4 Spring Lessons • Monday, February 25 – Saturday, April 13. Block 5 Spring Lessons • Tuesday, April 23 – Thursday, May 23. Registration begins Monday, April 15, and will take place online only. Lessons are free and for members only, but a credit card is required during online registration. Space is limited. Please refer to the class descriptions section to place your child in the correct level. Class space may be limited, especially in the beginning levels. There will be no “drop-ins” allowed at lessons. Registration will now take place online. 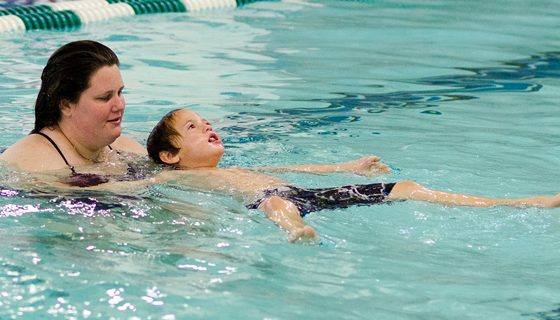 Swimming lessons are offered for youth of all ages and abilities, preschool – high school. Swimmers must use the appropriate locker rooms to change for lessons. Parents and spectators are not allowed on the pool deck during lessons, please use the balcony to watch. Please arrive on time. Lessons are for members only and registration is required. Space is limited. For more information, contact the Aquatics Office at (607) 547-2800, ext. 114.